As much as love is a battlefield what makes it worth the fight are those sweet moments when the beginnings of a new romance begin to flutter into flight. 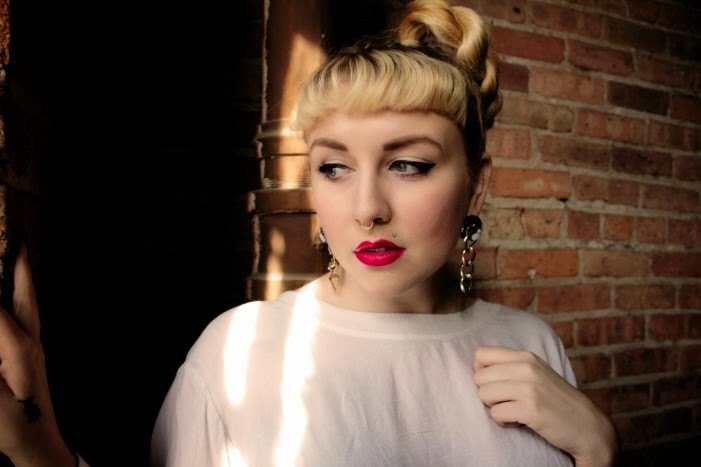 Chi-Town chanteuse Lili K. knows a thing or two about this feeling as she's got a love thang for a dude named Tommy, and instead of her keeping mum about it she has opted to spread her wings and profess her love for him through song. Lili K. is far from being nervous as she confidently basks in a glow of easy summer soul, her voice swinging in a hammock of horns and electric organs as she affectionately notes how Tommy is "like a book of poetry" and how she wants to take things a step further and get swept up in holy matrimony with him. In association with Solange Knowles' Saint Heron collective, Lili K. also released the visual for "Tommy", and it's a darling one, that sweetly swoons towards a retro '60s vibe with hints of Little Shop of Horrors and Hairspray mixed in. After two EPs (2012's Metal Petals and 2013's My Favorite Things) and successes with collaborators like Peter Cottontale, Vic Mensa, and Chance The Rapper, Lili K. will be sending more "soul trap" love notes straight to our hearts when her debut full-length, Ruby, drops April 21st. Gotta love that!